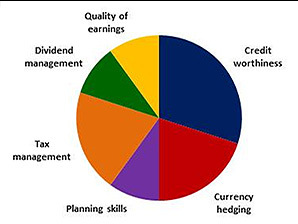 The participants at the simulation manage a US-based public company with two foreign subsidiaries and are responsible for decisions in the areas of forecasting, operations and budgeting, choice of financing options, risk management and international taxation strategies, and shareholders’ relationship. Success is determined by the teams’ ability to understand the key corporate finance concepts and apply those lessons in a competitive and unpredictable market environment – subject to the simulation. 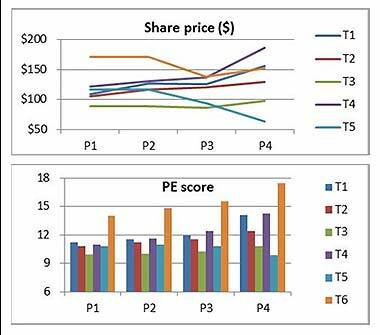 The ultimate goal is to increase shareholders’ value consistently throughout the competition – measured by the company’s share price. The software generates all reporting and data tools the participants need to be able to analyze their performance and monitor the industry and the market. 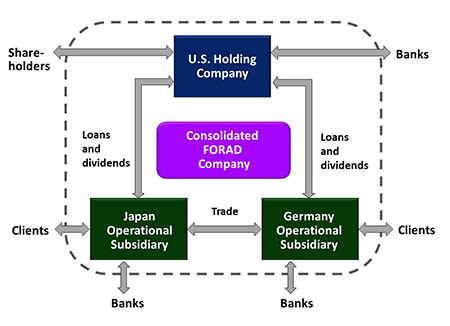 The FORAD company has three subsidiaries – US Holding company and two international subsidiaries – one in Germany and one in Japan. The subsidiaries work with each other and with external business partners to sell their production, access capital, engage in hedging or speculative activities. The goal is to optimize the performance of the consolidated FORAD company and outperform the rest of the industry. The software provides detailed REPORTING and a number of other DATA TOOLS to help the decisions and review processes.